Initiated in 1994, the title of North American Car of the Year is one of the most prestigious that can be awarded to a new car. 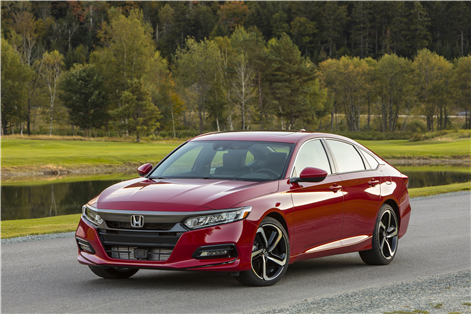 Announced each year at the North American International Auto Show in Detroit, the title was awarded this year to Honda's all-new mid-size sedan, the 2018 Honda Accord. The 2018 Honda Accord has been improved in every possible way this year and the 10th generation of Honda's mid-size sedan really has a lot to offer consumers. For starters, the new Honda Accord features a 1.5-liter, turbocharged, four-cylinder engine that delivers 192 horsepower while averaging 7.2 liters of fuel per 100 kilometers when paired with a continuously variable automatic transmission (CVT). It's also possible to get a 2018 Honda Accord with a 10-speed automatic transmission and a 2.0-liter four-cylinder turbo engine developing 252 horsepower. With this engine, we get a car that is very powerful yet economical, and that features the only 10-speed gearbox in the world for a front-wheel drive vehicle. The title of North American Car of the Year is awarded by a panel of 60 automotive journalists from across Canada and the United States. 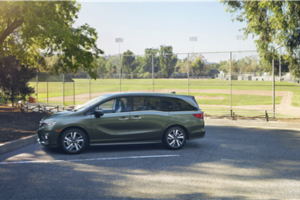 Last year, the Honda Ridgeline took top honors on the truck side, while in 2016 it was the new Honda Civic that took home the Car of the Year title. To learn more about the 2018 Honda Accord, contact us today at Fundy Honda.